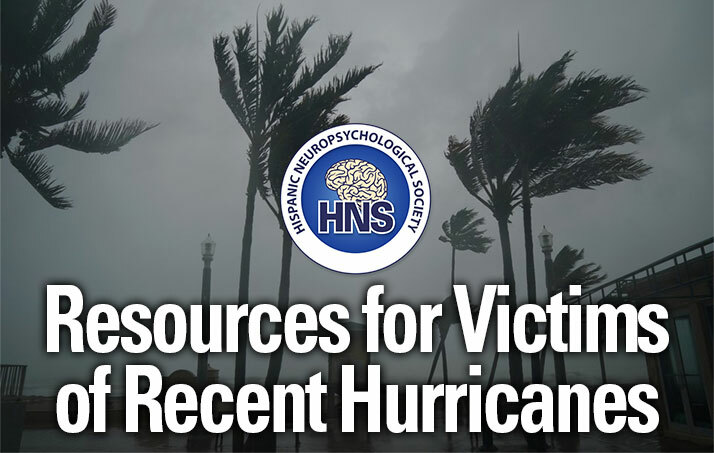 The Hispanic Neuropsychological Society is a group of clinical and research neuropsychologists interested in promoting the competent practice of neuropsychology with Spanish-speaking and bilingual populations. 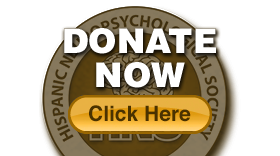 HNS is devoted to the sharing of clinical and research information that influences the general field of cultural neuropsychology. HNS is taking a center-stage role, given the changing demographics of the United States and other countries. HNS clinical researchers are particularly attentive to the refinement of normative data, as they apply to patients from diverse linguistic and cultural backgrounds. HNS is a charity (501(3)(c) organization, which allows HNS to receive monetary gifts, viewed as 100% deductible donations for tax purposes. HNS is conducting a half-day conference, in conjunction with the International Neuropsychological Society’s (2019) meeting in NYC. The HNS conference is scheduled for Saturday, February 23rd, 2019, from 1:30 to 6 p.m. The conference will be at the Marriott Marquis in Manhattan, NY. Key topics pertaining to the demographic shifts in the United States will be addressed in a speaker/panel format, one that fosters discussion and debate of presented information, with audience participation. Topics will not be completely specific to Latino/a, or Hispanic populations, but cultural and linguistic factors, as they affect other populations. Ideally, the successful outcome of this conference will be enhanced clinical and research efforts, as informed by the conference presentations, enhanced training approaches for clinicians and researchers, and political/legislative efforts that address public health issues as they affect populations addressed by conference materials. A conference of this size requires funding for room and audiovisual rentals, refreshments, speaker honoraria, and supplies. HNS is committed to assisting new parents with childcare solutions, while they attend the conference, so funds are solicited for professional childcare services, as well. Donations of various sizes are associated with various sponsorship packages.